What is the TRALA 8 Day Rental Exemption? There is some confusion among motor carriers regarding commercial vehicle rentals. The Federal Motor Carrier Safety Administration (FMCSA) exempts short-term rentals from needing to use Electronic Logging Devices (ELDs) due to the duration of usage. 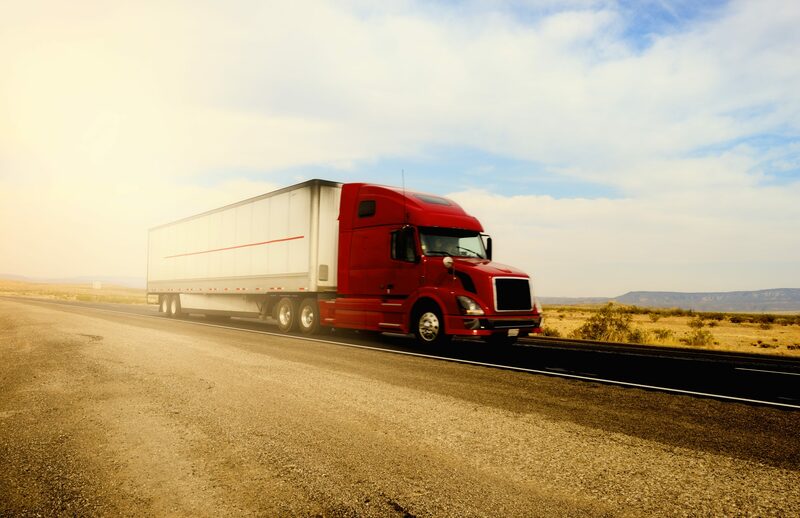 Drivers who fall under this exemption may continue to use paper records of duty status (RODS) in lieu of an ELD; however, there are some limitations. Some motor carriers are under the impression that the exemption applies to rentals for up to 30 days. This is incorrect. In March of this year, the 30-day exemption for short-term rentals expired. While the Truck Rental And Leasing Association (TRALA) petitioned FMSCA to extend the 30-day exemption through the end of 2018, FMCSA denied the request and an 8-day exemption went into effect. FMCSA provides some basic guidelines for commercial motor vehicle (CMV) rentals. The exemption applies to CMV rentals for eight days or less. Attempts to release the same CMV after eight days is a violation of the exemption. Rental drivers need a copy of the exemption letter while operating the CMV. Drivers must carry a copy of their rental agreement clearly stating who is renting the vehicle and the dates of the rental. Drivers must keep copies of their RODS for the current day and any preceding days during the applicable eight-day period. All other FMCSA regulations apply during the rental. Carriers need to submit this information via email to MCPSD@dot.gov. Failing to comply with the above provisions can lead to FMCSA revoking exemption privileges. To learn more about this exemption, other safety provisions, and truck insurance solutions, contact the experts at Interstate Motor Carriers. Be Properly Equipped – Summer driving means heat, sun glare, and longer days. Be sure to pack a hat, sun glasses, extra water, and plenty of snacks. Did we mention you should pack water? Hydration is key to staying focused and healthy during the summer months! Be Aware of the Extra Drivers – With summer in full swing, teenagers and college drivers will be on the roads more than any other season. In addition to students, families will be hitting the road for vacation making road congestion a big concern. Make sure you are aware of your surroundings by always checking your mirrors and properly signaling before changing lanes. Construction is Being Done – Be wary of road work! The summer is when most construction is typically going to be done, especially on roads. Be conscious of all signs as you drive, and respond accordingly. Slow down and be prepared to stop when driving through construction zones. Of course, these are only a few conditions that drivers must be aware of while driving in the summer. We urge you to stay safe, healthy and cautious this summer (and every season)! Management commitment: Clearly define management’s role and commitment to preventing and detecting fraudulent claims. Most perpetrators of fraud engage in illegal conduct only when they perceive that they will not be caught. 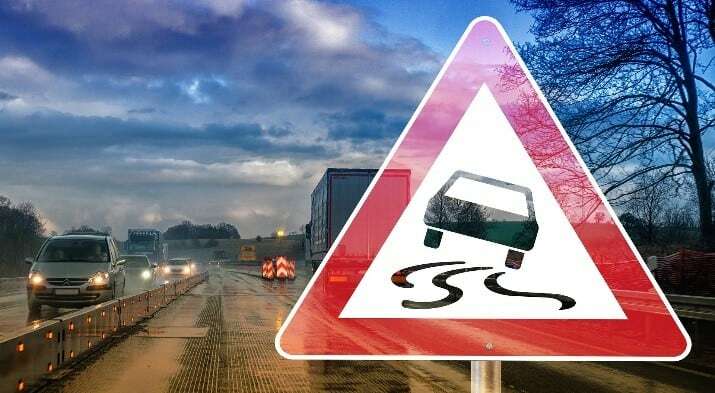 Written policies and procedures: All permitted and prohibited driver behavior, along with proper procedures to follow in the event of an accident, should be clearly listed in a written policy. Driver agreements: Documenting a driver’s commitment to conform to all policies and procedures can help deter aberrant behavior. If an organization increases in its employees’ minds the perception that the illegal acts will be detected, it deters occupational fraud. Motor vehicle record checks: Conducting a motor vehicle record check in addition to a standard background check can expose any suspicious driving or claims patterns before hire or before permitting an employee to use a company vehicle. Crash reporting and investigation: Conduct thorough investigations of each claim. Provide forms for employees to complete in the event of an accident. Vehicle selection, maintenance and inspection: Conduct regular inspections to demonstrate ’s commitment to preventing accidents and fleet fraud. Disciplinary action system: Make the serious repercussions of fraud clear, including legal action and termination. Adopting concealed internal controls may assist in detecting fraud, but it generally does not prevent it because employees are unaware of their presence and potential detective ability. Reward and incentive program: Reward employees for good driving habits and lack of accidents and claims. For any business operating vehicles under a fleet motor insurance policy, it is important to demonstrate to an insurer that adequate fleet procedures are in place to minimize costly risks—including occupational fraud. For more information about controlling insurance costs, contact the professionals at Interstate Motor Carriers today. Rou gh Notes, the nation’s leading source of insurance innovations and trends for over 135 years, recently published two articles about the trucking experts at IMCCA. To read the articles, click on the thumbnails to the right. 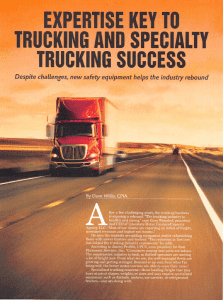 The first article, published in the May 2015 edition of Rough Notes, is titled Expertise Key to Trucking and Specialty Trucking Success. The article explores the challenges that transportation businesses face in identifying, acquiring, and implementing new safety technologies. As a trucking specialist for many years, Gary Weindorf, President/CEO of IMCCA, points out those safety devices can increase motor carrier costs, but can lead to significant dividends in terms of reducing accident frequency, severity and ultimate liability, which can translate into lower insurance premiums. While safety regulations are set forth by the Compliance, Safety, and Accountability (CSA) Program, he points out that the organizations which succeed are those that take a proactive approach to vehicle safety and driver security. A dedicated trucking insurance broker can be an asset in knowing the trucking insurance market and handling unique issues with claims and loss control. 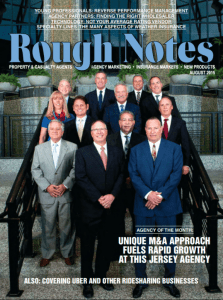 The second article, published in the August 2015 edition of Rough Notes, made the front cover of the magazine. An agency profile – Better to Be Lucky… and Good explores the unconventional path that has brought together the pieces that today comprise the highly successful IMCCA. Interstate started as a Trucking Agency in 1936 and merged with Capacity Coverage Corp in 2011. Capacity’s original partners, Robert Lull and Mark Weinraub, started the company in 1990 with a goal to create a motor carrier agency that emphasized professionalism and subject matter expertise. Interstate’s trucking expertise was a perfect fit for their vision and maintains their original offices in Freehold, along with a continuation of the same leadership and experienced employees that ensures their clients of market prowess, dedicated service, and the knowledge to assist with shipper/government regulations in this fast-paced industry. To learn more about IMCCA, visit the Trucking Insurance Experts. 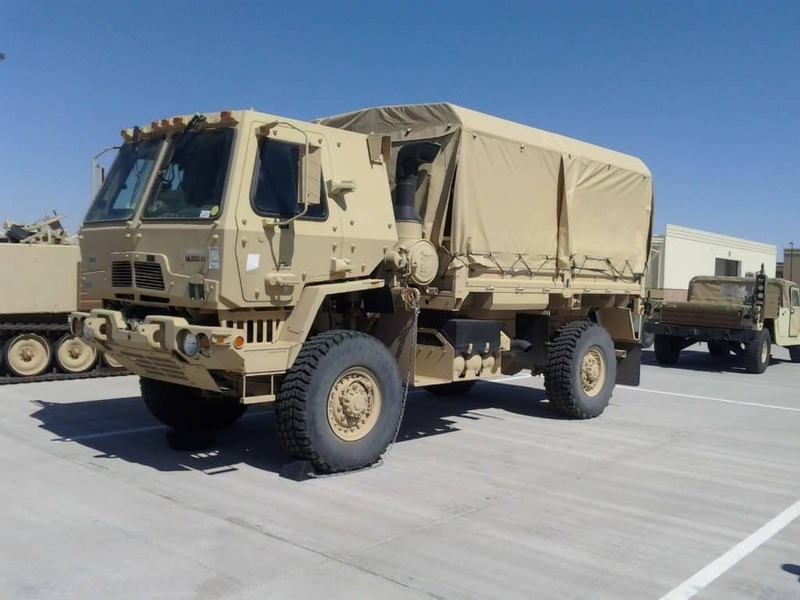 Vehicles and transportation equipment: The design and maintenance of vehicles and transportation equipment to ensure that it does not cause the food that it transports to become contaminated. Transportation operations: The measures taken during transportation to ensure food is not contaminated, such as adequate temperature controls and separation of food from non-food items in the same load. Information exchange: Procedures for exchange of information about prior cargos, cleaning of transportation equipment, and temperature control between the shipper, carrier, and receiver, as appropriate to the situation. For example, a carrier transporting bulk liquid non-dairy foods would want to ensure that vehicles that have previously hauled milk will not introduce allergens into non-dairy foods through cross contact. Training: Training of carrier personnel in sanitary transportation practices and documentation of the training. Records: Maintenance of written procedures and records by carriers and shippers related to transportation equipment cleaning, prior cargos, and temperature control. Waivers: Procedures by which the FDA will waive any of these requirements if it determines that the waiver will not result in the transportation of food under conditions that would be unsafe for human or animal health and that it is in the public interest. Small Businesses — businesses other than motor carriers who are not also shippers and/or receivers employing fewer than 500 persons and motor carriers having less than $25.5 million in annual receipts would have to comply two years after the publication of the final rule. Other Businesses — a business that is not small and is not otherwise excluded from coverage would have to comply one year after the publication of the final rule. This proposed rule establishes requirements for vehicles and transportation equipment, transportation operations, training, and recordkeeping. For example, shippers would be required to inspect a vehicle for cleanliness or contamination prior to loading food that is not completely enclosed by its container. Operators of motor vehicles, railcars, and other equipment used in food transportation would be required to establish written procedures, subject to record keeping requirements, for cleaning their vehicles and transportation equipment. The FDA would be entitled to review these procedures and records. The proposed rule also requires individuals who transport foods that require time/temperature control for safety to ensure the maintenance of the transportation cold chain during operations. This includes pre-cooling the vehicle, loading and unloading operations, and the transportation phase. The proposed rule would also establish procedures for the exchange of information about prior cargos, cleaning of transportation equipment, and temperature control between the shipper, carrier and receiver, as appropriate to the situation. Shippers would need this information to ensure adequate sanitation practices were used that would help prevent adulteration of transported products. For example, a carrier transporting bulk liquid non-dairy foods would want to ensure that vehicles that have previously hauled milk will not introduce allergens into non-dairy foods through cross contact. Under the Carmack Amendment, motor carriers are liable for “actual loss” to property. Now, a variation in temperature from an aggressive temperature standard, could represent such an actual loss, opening up carriers to additional losses. In addition, as the adulterated product cannot be salvaged, freight losses would be deemed total losses, raising the dollar value of claims. Jan 30, 2015 – States must begin enforcing the regulation that paper copies of the Medical Examiner’s Certificate are only valid for the first 15 days after their issuance. As of this date, State driver licensing agencies will be adding medical self-certification status and the information on medical examiner’s certificate to the Commercial Driver’s License Information System (CDLIS) record. All commercial drivers engaging in interstate commerce with a maximum gross vehicle weight rating of over 10,000 pounds (4,536 kilograms) are required to obtain and maintain a valid Medical Examiner’s Certificate (ME Certificate).Commercial drivers who drive vehicles requiring a CDL have two additional requirements. On or before January 30, 2015, all CDL holders must declare to their State Driver Licensing Agency (SDLA) that they only operate or expect to operate commercially in 1 of 4 possible categories with their CDL. This process is called self-certification. July 8, 2015 – States must implement Commercial Driver’s License Information System (CDLIS) 5.3 into production no later than this date. The Centers for Disease Control and Prevention (CDC) website recommends specific precautions for people traveling to at risk areas and encourages people to monitor their health for 21 days following potential exposure. The following link is the CDC online hub for Ebola information and is a great resource for both you and your employees to access: www.cdc.gov/vhf/ebola/prevention. Stay calm. Educate employees about how Ebola is spread and best practices to avoid transmission. Encourage employees to self-report any potential symptoms (either for themselves or family members who have recently returned from one of the affected areas) and to request PTO or a leave of absence if symptoms develop. For an employee who has been in the proximity of an affected area and is exhibiting any symptom of the disease, his or her physician will determine whether the employee should remain home from work based on any symptoms that may appear. If a serious medical condition is confirmed, the employee’s leave may then be designated as FMLA. Any other employee requesting time off because of a fear of Ebola with no medical justification should use any accrued vacation or paid time off time as per your company policy. Otherwise, the time off, if granted, may be unpaid time off. Second, the illness or disease must arise out of or be caused by conditions “peculiar” to the work. The simplest test toward judging “arising out of and in the course and scope of employment” is to ask: Was the employee benefiting the employer when exposed to the illness or disease? Be warned, this “test” does not consider the various state laws, interpretations and intricacies of this question. Test two is a higher hurdle – Is the illness or disease “peculiar” to the work? If the illness or disease is not peculiar to the work, it is not compensable. An example of this “peculiar” exposure is a healthcare worker contracting an infectious disease such as HIV or hepatitis as a result of contact with infected blood. Qualifying an illness or disease first as occupational and secondly (though more importantly) as compensable may ultimately require industrial commission or court intervention to sort medical opinion from legal facts. There is no singular test that can be applied to every case to declare an illness or disease as compensable or non-compensable, thus each case is judged on its own merits and encompassing circumstances. Judged against the qualifying factors presented, is Ebola a true workers’ compensation exposure for most employers? The short answer is, “no, not likely.” Other than the fact that this illness has garnered intense attention in the news, it is no more occupational in nature than a non-pandemic, “no-name” flu. Unless it can be proven that the employee has an increased risk of contracting Ebola because of a peculiarity of his job, this virus is not occupational. Employees working in the healthcare industry, or possibly a truck driver who loads or unloads Ebola tainted waste, may be able to prove such increased risk as they have little choice but to expose themselves to the bacteria as a regular part of their job duties. With some Ebola-infected patients being treated at facilities in the United States, the U.S. Department of Transportation’s Pipeline and Hazardous Materials Safety Administration has issued guidance on its website relative to the transport of Ebola-tainted waste, which is classified as a Category A infectious substance under the hazmat regulations. Transport of such materials for disposal generally requires several layers of packaging, including an outer hard container effectively sealed. To explore Category A infectious substances hazmat transport regulations in detail, and specific guidance relative to Ebola, visit this page on PHMSA’s website.